My youngest has been back in school for a few weeks now, and we have finally settled into a good routine. The spontaneous craziness of summer break is behind us, and the chaotic business of the holiday season hasn't arrived just yet. As a work at home mama, this little lull between the start of the new school year and the hectic & busy whirlwind of the fall & winter holidays is my time to breathe in deep and exhale. My time to carve out a little time for myself and recharge. Once I have sent my daughter off to school in the morning, I like to take a few moments to relax and get centered before diving head first into my blog work. 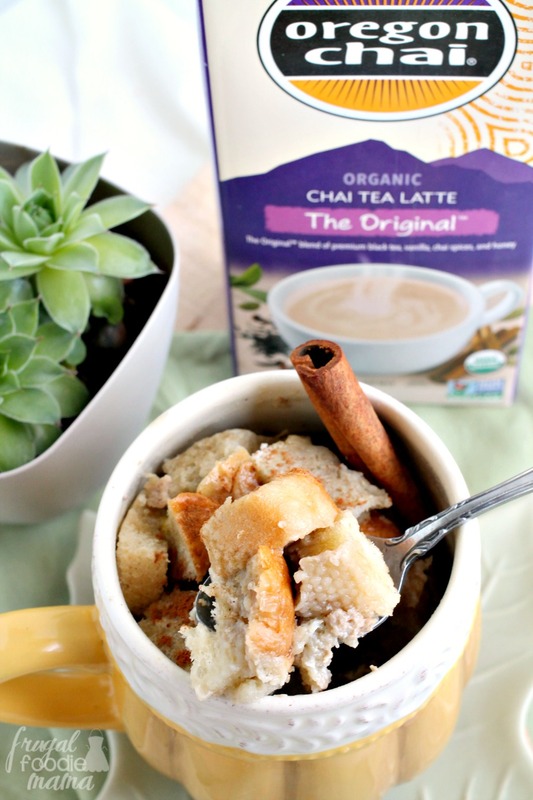 One of my favorite ways to do just that is to whip up a quick & easy breakfast treat like this Chai Tea Latte French Toast for One. This single serving French toast recipe is sweet & spicy, yet comforting & creamy. 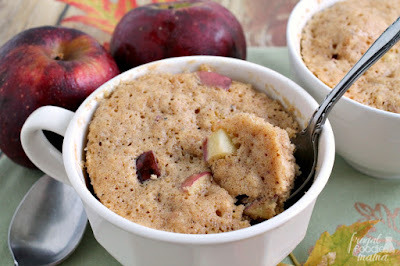 A perfect breakfast idea for a crisp fall morning! This comforting French toast for one takes only a few minutes to make and requires only a handful of ingredients. 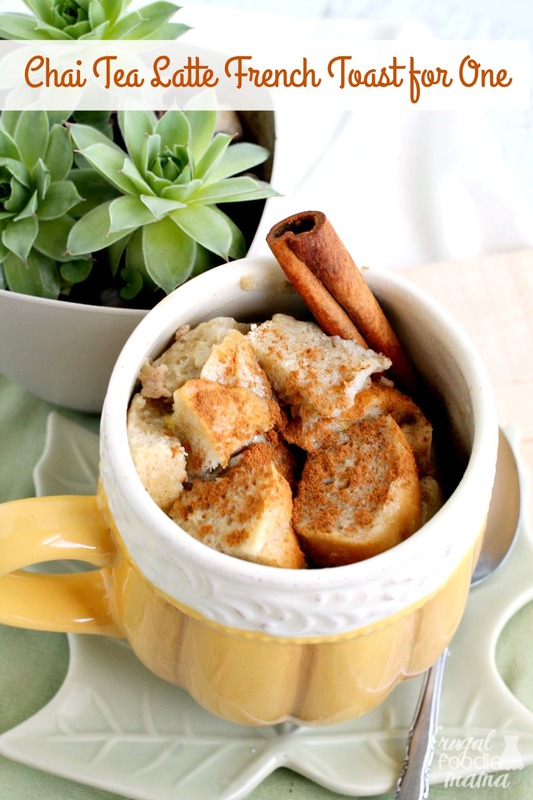 The star of this French toast recipe is the richly spiced Oregon Chai® Tea Latte Concentrate I picked up on my last shopping trip to my local Target. 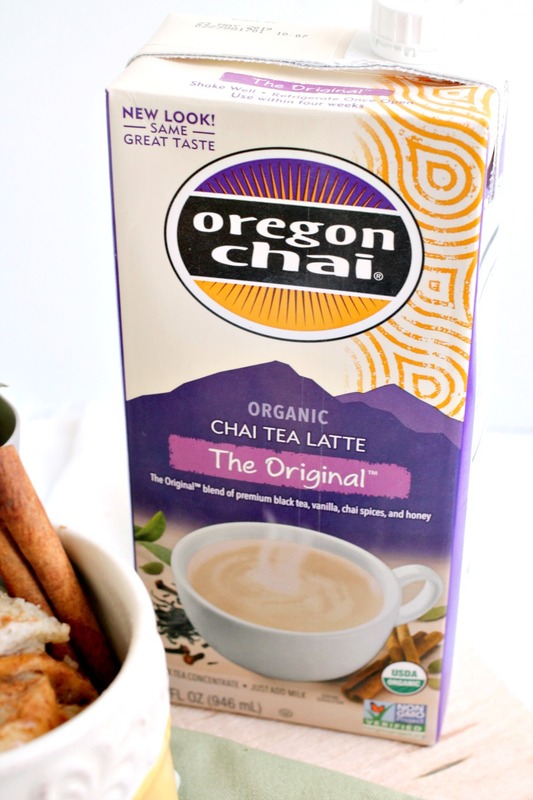 When I could save on my favorite Oregon Chai products with Cartwheel in the Target app, how could I possibly resist? You can find an offer here too! Even though I consider a breakfast treat like this one to be my little indulgence, I don't have to feel "guilty" about my guilty pleasure. ;) Oregon Chai Tea Latte Concentrate is organic & non-GMO Project Certified. That means that with every bite of this easy to make French toast I am helping to do my part in doing a little good for the earth while treating myself. Who wouldn't feel good about that? In a large microwave-safe mug (at least 16 oz), melt the butter in the microwave, approx 30-45 seconds. Tilt the mug around in a circle to coat all sides of the mug with the butter. In a small bowl, whisk together the milk, Chai Tea Latte Concentrate, & egg. 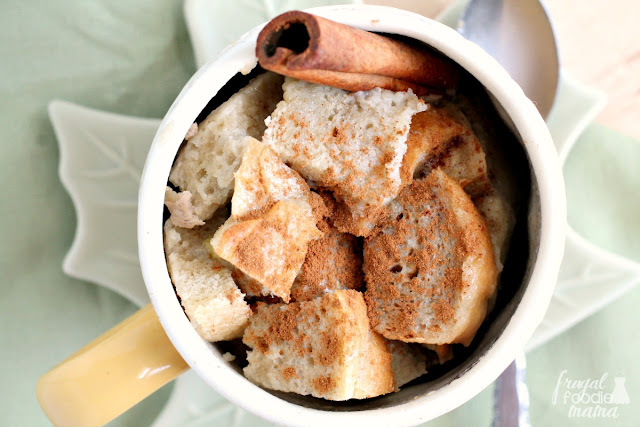 Layer the bread cubes with the milk/egg mixture in the buttered mug. Push down with a spoon to make sure all the bread pieces get moist. How do you create a little time for yourself before the craziness of the holiday season starts? 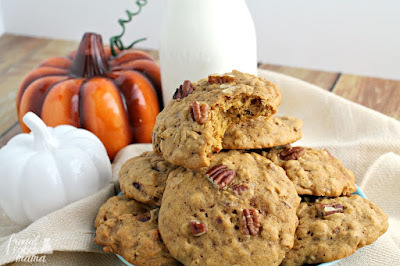 Looking for even more chai spiced recipes? 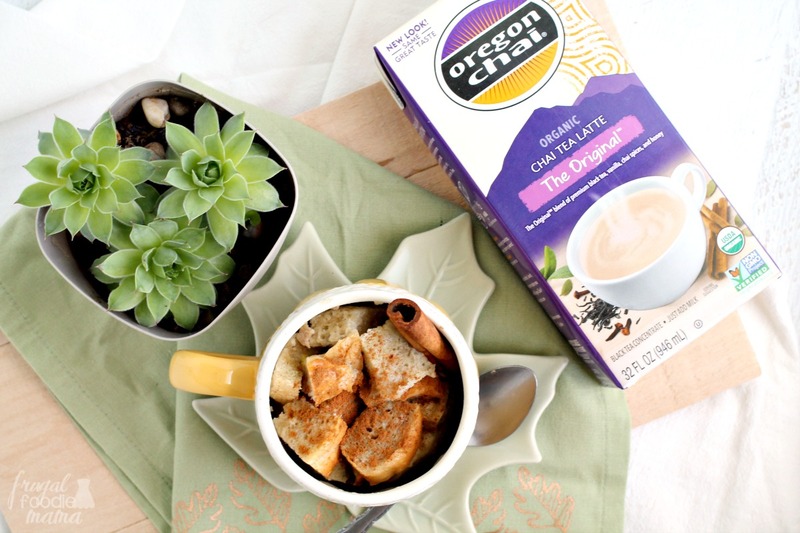 Find your inspiration by checking out these delicious recipes from Oregon Chai! You can save on Oregon Chai with Cartwheel in the Target app, now through 11/10/18!